Why Are California's Legal Marijuana Sales So Low? California is on track to generate $1.9 billion in legal marijuana sales this year, according to new data from a financial analysis firm tracking the market. That's a lot of weed, but it's only half the amount the same firm previously estimated the state would rake in. The estimates are from New Frontier Data, which crunches cannabis industry numbers, and are based on tax revenues from pot sales, which so far have fallen dramatically short of projections. According to New Frontier, the state collected $33.6 million in pot taxes between January 1 and March 31, which makes it extremely unlikely that tax revenues will meet original expectations of hitting $175 million in the first half of the year. New Frontier had earlier estimated that the state would see $3.8 billion in marijuana sales this year, and this latest estimate slashes that number by a whopping 50%. The company also slashed its projections for the size of the legal industry by 2025. Instead of the $6.7 billion in sales it earlier estimated, it now says it thinks sales will only hit $4.7 billion, a hefty one-third reduction. That's bad news not only for state tax revenues but also for an industry that is supposed to be coming in out of the cold. What happened? New Frontier has an idea. "It is quite clear that the new adult use regulations have made it more difficult than anticipated for the legal market to get established and for consumers to transition to from the illicit market. Given the number of local government bans on cannabis businesses, we are not seeing the same kind of conversion rates that we have seen in other legal markets," said Giadha Aguirre De Carcer, New Frontier Data founder, and CEO. State and local licensing fees for marijuana businesses can range from $5,000 to $120,000 per year, depending on the type and scope of the business. And complying with regulatory mandates, such as those around zoning, water usage, and lab testing, costs even more. It's not just onerous -- and expensive -- regulation for those who want state licenses to grow, distribute, and sell marijuana that's the problem. There's also a serious lack of buy-in by a good portion of the state's cities and counties, and that means that a big hunk of the state has no access to local legal marijuana. "If there's (no governmental support) locally, then there's no option for a state license, and that's why most people are being shut out at this point in time," California Cannabis Industry Association executive director Lindsay Robinson told the Marijuana Business Daily. "The process gave local authorities an option to kind of sit on their hands, and that's the biggest barrier that we're seeing." According to CCIA spokeswoman Amy Jenkins, only about a third of the state's 540 local governmental entities have approved commercial marijuana activity. Lack of legal access is "forcing consumers to turn to the illicit market," she told the Los Angeles Times this week. Or return to it. Or stay in it, if they never left. Humboldt State University economics professor Erick Eschker pegged the size of the state's pot market -- legal and illegal -- at about $7.8 billion. Of that, about $2.3 billion came from the medical marijuana market, leaving about $5.5 billion for legal, grey market, and black market pot sales. If the legal market is only accounting for $1.9 billion in sales, that suggests that grey and black market sales are still about twice the size of legal sales. These consumers don't get hit with stiff sales and excise taxes, and if they can still get it from the guy down the street, why pay those high, state-legal prices? If California wants to eliminate the black market in marijuana, it's got a whole lot of work to do. And no matter what steps the state takes to deal with its internal black market, there's still the export black market to the non-legal states in the rest of the US. Ultimately, the only way to end the black market is to legalize it nationwide, but we're not quite there yet. 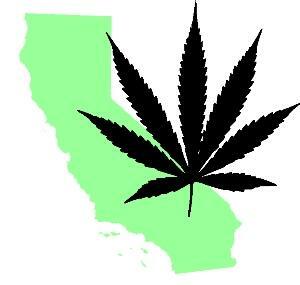 In the meantime, California's transition to a legal marijuana regime is facing some unhappy realities. The vast majority of California's marijuana growers have yet to try to move into the state's new legal regulatory framework, leaving big questions looming around whether they can survive in the brave new world of legal weed, whether a substantial illicit market will remain, and whether that anticipated tax revenue windfall will actually materialize. According to a report released Monday by the California Growers Association, representing mainly small-scale growers across the state, fewer than 1% of growers have been licensed so far. That's a measly 534 licensed growers out of an estimated 68,000 in the state. The report, "An Emerging Crisis: Barriers To Entry In California Cannabis," identifies a number of obstacles for small producers and warns that those issues must be addressed if participation is to increase and a post-legalization law enforcement crackdown is to be avoided. "Without broad participation, legalization will look a lot like prohibition," with many illicit growers, the report concludes. "The current system will not achieve its goals without fundamental and structural changes that allow small and independent businesses to enter into compliance." Obstacles to participation include lack of access to the financial sector. the high costs of complying with regulatory and tax burdens, state regulations that seem perversely designed to weed out small competitors, slow-moving or sometimes hostile local governments, and a saturated market. The unintended consequence of making it so difficult at the local and state level to enter the regulated market is that 80-90% of those who were working with dispensaries prior to 1/1/2018 are being pushed to the black market. This is not only bad for the regulated market because so much high quality product is now flooding into the black market, but crime is increasing as a result as well. I am truly heartbroken to see what the regulatory system has done to the artisan cultivators and manufacturers who were creating diverse, boutique products. These people who built this industry are not allowed to participate. I hope we can course correct this year. State and local governments need to make course corrections now "or else a staggering number of businesses will fail, while staggeringly few enjoy significant growth," the report warned. "Many of the best growers -- the most dedicated and passionate artisans who can add tremendous value to the state marketplace -- are the ones being left behind." It's unlikely all those pot farms are just going to dry up and blow away, though. The report notes that the state currently produces about 15 million pounds of marijuana each year, but that only 3 million pounds are consumed in-state. That means the vast majority of California-grown marijuana is already heading for out-state markets in prohibitionist states. Quick action to make California's legal markets more friendly to small producers may eventually entice more to fight their way into the regulated economy, but it's going to take the end of prohibition in the rest of the country to end California's black market marijuana exports. Faced with an ever tougher economic sanction regime aimed at forcing the Hermit Kingdom to end its nuclear and ICBM programs, there are increasing signs that North Korea is using drug dealing -- among other illicit activities -- to earn hard currency. Such moves call into question whether economic sanctions can cause enough pain to the regime to force it to modify its behavior since the country's illicit economy is estimated to be larger than its licit one. At a deeper level, they also shed light on one of the unintended consequences of drug prohibition. Criminalizing the drug trade means there are huge profits waiting for those willing to scoff at the drug laws, as North Korea has done for decades. According to Deutsche Welle, which cites South Korean sources with covert contributors in the north, state-run trading companies have begun to manufacture and sell illicit drugs in a move to bust the sanctions regime. The companies have been "ordered to earn foreign currency" and, with legal means of doing so being constrained by United Nations export bans, they "are turning to drugs manufacturing on an industrial scale." It wouldn't be the first time. The Kim dynasty ordered the production of opium poppies in the 1970s, with the harvest "sent to pharmaceutical plants" where it was "processed and refined into heroin… under the direct control and strict supervision of the central government," regime defectors reported. Drugs would be smuggled across the Yalu River into China, on commercial shipping bound for loosely guarded Southeast Asian ports, and inside the baggage of North Korean diplomats. After 1998, as famine lingered and torrential rains ruined poppy fields, King Il Sung engineered a switchover of heroin labs to methamphetamine labs. Meth suited the regime both for domestic purposes -- it stimulated workers' energy while reducing their hunger -- and for its ability to generate hard currency. Within a few short years, the value of North Korean drug production exploded, with the US-China Economic and Security Review Commission estimating that the country earned between $500 million and $1 billion from the drug trade in 2001 alone. A Congressional Research Service report seven years later concurred, also estimating the value of the trade at up to a billion dollars. By 2005, the Chinese were complaining about intercepted shipments of methamphetamine and MDMA being trafficked from North Korea. Little has changed in the intervening years. North Korean meth is still making its way to China, according to journalist Brendan Hong. "China has a major meth problem," he wrote last year. "It mostly comes from North Korea and it's been flooding northeastern China for years. I have seen workers abuse meth in Chinese electronics factories so they can stay awake when trudging through unending shifts. Cam girls (models who perform or strip online for a fee) and karaoke hostesses smoke it with their clients, who call the practice, "ice-skating.'" "The North has a long track record of manufacturing and selling drugs overseas and it is a convenient fallback for the regime to ratchet up production when sanctions are stepped up and it is harder for them to export legitimate goods," said Stephen Nagy, a senior associate professor of international relations at Tokyo's International Christian University. "It is clear that they need hard cash for their new military gadgets and they know there is a big cash market for illegal drugs," he told Deutsche Welle. North Korea appears bound and determined to become a nuclear state complete with the means to deliver atomic death and destruction across thousands of miles. And if it's got an illicit drug industry as big as its legal economy, sanctions aimed at legal sectors of the economy aren't going to rein in the regime. 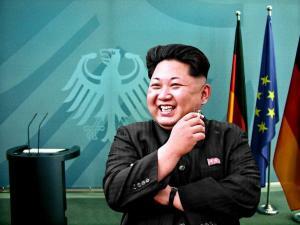 The primary result of increased sanctions may turn out to be making Kim Jung Un the Walter White of Northeast Asia. Marijuana is going mainstream, as evidenced by the spread of medical marijuana and now outright legalization, not to mention its pervasive and increasingly favorable position in popular culture. In the past 20 years, support for legalization has grown from a distinct minority position to a majority one, and now, after November's elections, more than half the states have approved medical marijuana and nearly one out of six Americans lives in a state where it is legal. Marijuana is now also big business, with industry watchers estimating the size of the legal market at around $20 billion by 2020. There's one problem with such rosy scenarios, though: Pot remains illegal under federal law. That's a big problem for John Hudak, a senior fellow in governance studies at the Brookings Institution with a keen professional interest in public policy implementation, legislative-executive relations, and marijuana policy. In Marijuana: A Short History, Hudak takes marijuana legalization as pretty much a given -- provided it isn't screwed up too badly in implementation -- and sees federal marijuana prohibition largely as an obstacle to getting pot policy right. He sketches out the strange place we now find ourselves, with a booming industry enriching state tax coffers at the same time it remains federally illegal, and a federal government largely turning a blind eye to the violations of federal law -- at least for now -- while at the same time refusing to allow that industry the banking privileges and tax breaks provided to legal businesses. Meanwhile, marijuana sellers become Chamber of Commerce members in some states and prison inmates in others. 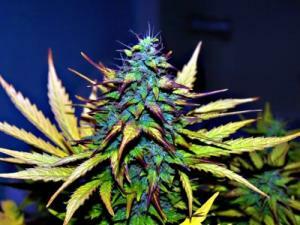 "The resulting situation in the United States may be worse than either national legalization or national prohibition. Legal realities are loosely defined by executive branch guidance and suggestions from the administration. This guidance fails to answer important questions and oftentimes creates new ones. States are constantly asking the federal government how to deal with many of the problems they face; the answers are almost always insufficient. Members of Congress have proposed solutions to some of the biggest challenges facing states, industry actors, and consumers, but that legislation is not acted on." "The reality is that the state of American law at the start of 2016 is absolutely untenable and is inconsistent with American principles of fairness and equal treatment. Federal officials must commit themselves to coherent, comprehensive, and sensible marijuana policy. Until they do, the system will be arbitrary and unjust, and policy will be ineffective." Now, at the start of 2017, the tensions Hudak highlights are even more acute, and the November elections brought them to the fore. At the same time the legal recreational market quintupled in size with victories in California, Maine, Massachusetts, and Nevada, the nation elected Donald Trump, whose attorney general pick, Alabama Sen. Jeff Sessions, is an avowed foe of legalization and drug law reform in general. Trump himself has said he favors letting the states experiment, but the billion-dollar question is whether Trump is going to set pot policy or leave it to his minions. If it's the latter, legal marijuana may be in for a bumpy ride, but even if it's the latter, that's just the political status quo. That isn't enough for Hudak. He wants things settled at the federal level through congressional action, not left to the administrative whim of some officeholder. Whether the next few years is going to bring us any closer to Hudak's prescription for pot policy perfection is an open question, and it's sure to be contested political terrain. Hudak raises the right questions about marijuana's future, but make no mistake, Marijuana: A Short History is by no mean all wonkery. 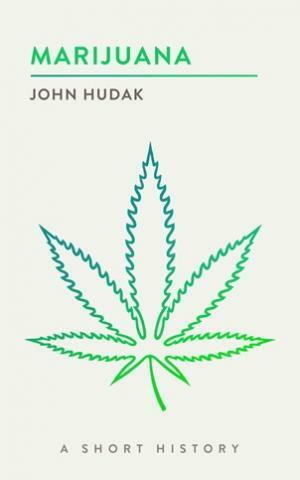 After all, Hudak is writing a history, and he does just that in a concise and lively manner, concentrating on the 20th Century in the US, a period that saw the long arc of marijuana prohibition peak before the decline it now faces in the early years of the 21st Century. Of special interest is his section on the rise of a successfully reform movement, as he zeroes in on the people and strategies that made it happen. Okay, Marijuana: A Short History is pretty wonky. It's serious stuff with a serious purpose: getting us down the path to a sane and effective marijuana policy nationwide. People with an interest in marijuana and marijuana legalization need to be thinking about these things, and Hudak is going to reward a serious reader. And he isn't going to make you slog through 400 pages of academic prose along the way. Read it; it'll make you think. Twenty years ago, California led the way on weed, becoming the first state in the nation to approve medical marijuana. Now, while it's already lost the chance to be the first to legalize recreational use, the Golden State is poised to push legal pot past the tipping point. Although voters in Colorado and Washington first broke through the grass ceiling in 2012, with Alaska, Oregon, and Washington, DC, following suit in 2014, if and when Californians vote to legalize it this coming November, they will more than triple the size of the country's legal marijuana market in one fell swoop. It's not a done deal until election day, of course, but the prospects are very good. The Adult Use of Marijuana Act (AUMA) legalization initiative is officially on the ballot as Proposition 64, it has cash in the bank for the campaign (more than $8 million collected so far), it has broad political support, including Lt. Gov. Gavin Newsom (D) and at least four California US representatives, and it has popular support, with the latest poll showing a healthy 60% of likely voters favor freeing the weed. It's also that the surfer's paradise is riding a weed wave of its own creation. Thanks in large part to the "normalization" of the pot business that emerged out of California's wild and wooly medical marijuana scene, the national mood about marijuana has shifted in recent years. Because of California, people could actually see marijuana come out of the shadows, with pot shops (dispensaries) selling it openly to anyone with an easily obtained doctor's recommendation and growers turning parts of the state in pot cultivation hotbeds. And the sky didn't fall. At the same time, the shift in public opinion has been dramatic. According to annual Gallup polls, only a quarter of Americans supported marijuana legalization when California voted for medical marijuana in 1996, with that number gradually, but steadily, increasing to 44% in 2009, before spiking upward ever since then to sit at 58% now. California isn't the only state riding the wave this year -- legalization will also be on the ballot in Maine and Nevada and almost certainly in Arizona and Massachusetts -- but it is by far the biggest and it will help the state regain its reputation as cutting edge on social trends, while also sending a strong signal to the rest of the country, including the federal government in Washington. Legalizes the possession of up to an ounce of marijuana and the cultivation of up to six plants (per household) by adults 21 and over. Reduces most criminal penalties for remaining marijuana offenses, such as possession or cultivation over legal limits or unlicensed distribution, from felonies to misdemeanors. Regulates the commercial cultivation, processing, distribution, and sale of marijuana through a state-regulated licensing system. Bars commercial "mega-grows" (more than ½ acre indoors or 1 acre outdoors) until at least 2023, but makes provisions for licensed "microbusinesses" (grows smaller than 10,000 square feet). Allows for the licensing of on-site consumption premises, or "cannabis cafes." Allows cities and counties to regulate or even prohibit commercial marijuana activities, but not prohibit personal possession and cultivation. Taxes marijuana at 15% at the retail level, with an additional $9.25 per ounce cultivation tax imposed at the wholesale level. In other words, pot is largely legalized and a taxed and regulated market is established. Some changes would occur right away, advocates said. "The criminal justice impact will be huge and immediate, and it will start on November 9," said Lynne Lyman, California state director for the Drug Policy Alliance (DPA), which is backing Prop 64 not only rhetorically, but also with its checkbook through its lobbying and campaign arm, Drug Policy Action. California arrests about 20,000 people a year for marijuana felonies and misdemeanors, currently has about 10,000 people incarcerated for pot offenses, and has as many as half a million people with pot convictions on their records. Things are going to change in a big way for all these people. "Those marijuana arrests will stop," said Lyman. "And everyone currently sitting in jail or prison will be eligible to apply for release. They will have to file a petition, but like Prop 47 [the sentencing reform initiative passed in 2014], unless there is a compelling reason to deny it, the court must grant it. Similarly, all those people who have had marijuana offenses will be eligible to have their record reclassified." To be clear, it will still be possible to be arrested for a marijuana offense in California after Prop 64. Possession of more than an ounce (or more than four grams of concentrate) will be a crime punishable by up to six months in jail and possession of less than an ounce can be a misdemeanor offense if it is on school grounds during school hours. Similarly, cultivation of more than six plants without being a permitted medical marijuana patient or without a license is still a crime, but typically only a misdemeanor punishable by a maximum of six months in jail. There are some exceptions: Illegal growers could be charged with a felony if the person has prior violent offenses or violates state water or environmental laws. Minors get special treatment. Kids under 18 who get caught with pot are hit with an infraction punishable by drug education, counseling, or community service, but no fines. People between 18 and 21 get an infraction with a maximum $100 fine. And while adults who possess pot on a school grounds during school hours get a misdemeanor, kids under 18 will only be hit with an infraction. "We want to reduce the number of young people getting into the system, and this will really dial down the firehose into mass incarceration," said Lyman. The state's largest marijuana consumer group, California NORML, certainly likes those provisions, but it only gives Prop 64 one thumb up and foresees some issues down the road. "We're supporting the AUMA with reservations," said the group's long-time head Dale Gieringer. "It's not the best initiative ever written -- it has some problems that will have to be addressed -- but it is an important step. The huge thing it does is legalize adult possession of an ounce and adult cultivation of up to six plants. That's big. And it turns cultivation and possession with intent felonies into misdemeanors, or at worst, wobblers," meaning prosecutors could only in limited cases charge them as felonies. "The AUMA is very long and complicated, with unnecessary hang-ups and restrictions," Gieringer complained, citing bans on public smoking and vaping as examples. "In places where there are bans on smoking in apartments or residences, in public is about the only place you can smoke. If it's illegal to smoke pot in a public place, people will be hard-pressed to find any place," he said. "You can't even vaporize in a public place, and that's totally out of line with the existing science. They just caved in to the powerful anti-smoking lobby on that, and we can't endorse that." The CaNORML membership also includes pot farmers, of which the group estimates there are some 30,000 in the state. They are nervous, Gieringer said. "We have a lot of small growers and they have a lot of issues," he explained. "They are concerned about regulatory provisions they fear could quickly push small growers out of the business. AUMA requires you to be an in-state resident, and we're already growing more than we need, yet we have out-of-state sponsors lining up behind in-state sponsors." Indeed, earlier this month, the state industry's largest membership group, the California Growers Association, voted to remain neutral on Prop 64 -- or least for now -- after its membership split almost down the middle on whether to support it. Growers, including association head Hezekiah Allen, worried that big-money investment and consolidation of the industry impelled by huge "mega-grows" could wipe out the now generations-old traditional pot farming scene in the stat's North Coast. Allen warned in a report to the group's board that such consolidation could "result in a catastrophic economic collapse for huge swathes of California," including the North Coast's Emerald Triangle. Stoners may have to fight for the right to toke and pot farmers for their place in the market, but some of the communities most buffeted by drug prohibition should see benefits. Prop 64 contains language that will direct revenues to minority communities, and also opens the door for localities themselves to take proactive steps toward racial justice. "The AUMA has a community reinvestment fund with the first revenues available in 2019," said DPA's Lyman, adding that it will be $10 million the first year and up to $50 million a year in the futre. "This is going to communities most impacted by the drug war, black and brown communities, and will include everything from legal services, to public health and economic development. The communities will be able to decide." Localities will also be deciding on how to implement regulation of the legal market, and that is another opportunity, Lyman said. "Hopefully, we will see things like what happened in Oakland, where under the new regulations, 50% of the new licenses have to be from the community," she said. "We hope other cities will do that to mitigate racial discrimination and the injustice of the past by prioritizing people of color and women, so we don't end up white a bunch of white men getting rich off what black and brown people have endured. DPA will be very involved in this." Somebody is going to be making money, though. The state's marijuana market, estimated at $2.7 billion for medical last year, could quickly hit $7 billion under legalization. "I see tremendous potential for a blossoming of cannabis opportunities," said veteran California marijuana activist, author, and historian Chris Conrad, who has become a pro-Prop 64 spokesman under the rubric of Friends of Prop 64. "Of course, the size of the industry will be impacted by the need to limit the market to intra-state rather than national or international. Given that California is the world's sixth largest economy and has the largest appetite for cannabis in the world, the state's nonmedical market is going to be sizeable." Legalization will bring changes from price reductions to changing product lines, he said. "Overall marijuana production is expected to soar, prices to come down and probably a lot more cannabis will be converted into extracts and expand or open new markets for personal hygiene products, topical remedies and essential oils," Conrad predicted. "There will be large-scale cannabis production that is homogenized with relatively low to medium potency, but still of better quality than Mexican brick weed. But we will never replace the boutique markets any more than Budweiser has eliminated microbreweries or 'Big Wine' has wiped out California's family vintners." And it's not just marijuana, but pot-related businesses that will boom, said DPA's Lyman. "Formalizing regulations for the first time will expand the industry, and there will be lots of ancillary industries, such as marketing, packaging, and tracking, that should all thrive in post-legalization California," she said. "There will be new ancillary markets for products such as locking stash boxes for people to carry their cannabis while driving, toking stations near entertainment venues and discrete, low-wattage, six-plant cultivation tents specialized for use in condos and apartments," added Conrad. Conrad said he expected counties and cities will opt in to the revenues from allowing pot commerce instead of locking themselves out with bans. "The distribution around the state will likely be porous, some areas more saturated and others with less access," he said. "Since towns will be licensing lawful businesses and no longer will be at the mercy of the county prosecutors' discretion, I expect to see a general spread of retail sites and onsite consumption shops around the state. Not in every town, not as obnoxious and omnipresent as liquor stores, but not too far away, either." "You can't predict the future," said Gieringer. "It will be a new situation. Medical marijuana here evolved through several different stages, and I expect the same process to unfold here with the Adult Use of Marijuana Act. On balance, the AUMA is an important step, but it's not the end game, and it leaves us with unresolved problems." You may not be able to predict the future, said Lyman, but you can influence it. "This will be a work in progress," she said. "The long-term work of implementation starts on November 8. We have to be there. To continue to be engaged will be critical." But even under state level legalization in California, as long as there is pot prohibition somewhere in America, there will be Golden State growers ready to supply the market. "The one thing everyone needs to recognize is that this does not end the problem of illegal marijuana growing in California," said Gieringer. "The industry has been well-entrenched for generations and is currently supplying the rest of the country, too. That market isn't going to disappear. The more expensive and difficult it is to become legal, the more people will likely participate in that black market." A third marijuana legalization campaign is getting underway in Michigan, a New Mexico state representative tries again with a legalization bill, Mexican marijuana farmers are feeling the pinch from competition north of the border, and more. Third Michigan Legalization Initiative Okayed for Signature Gathering. An initiative from a group calling itself Abrogate Prohibition Michigan has been approved for signature gathering. It will need 315,000 valid voter signatures within six months to qualify for the November 2016 ballot. Two other groups have also filed legalization initiatives and are much further along in the signature gathering process. New Mexico Legalization Bill Pre-filed. Rep. Bill McCamley (D-Las Cruces) has pre-filed a bill to legalize marijuana and hemp. The bill would allow people 21 and over to buy and use marijuana and allow the state to regulate pot commerce. McCamley authored a similar bill last year, only to see it killed in committee. US Legalization Hurting Mexican Marijuana Farmers. Mexican pot farmers are getting creamed by competition from north of the border, with the farm-gate price per pound in Sinaloa now at $15, down from $50 just a few years ago. That's driving farmers out of the business. It's also showing up in declines in pot seizures at the border, which were down by a third in 2014 compared to the four previous years. Tunisia Pirate Party Calls for Marijuana Decriminalization. The party has chosen a marijuana leaf as its symbol for the next election cycle, saying the country's main political parties have not revised the country's pot law, as they committed to do during the 2014 election cycle. Under current law, use or possession is punishable by a one-year jail sentence. The Pirate Party said the law "disrupts the power balance between the citizen and the police and is used to harass dissidents." The Pirate Party was formed in Sweden in 2006 and now has 41 affiliates in countries around the world. It advocates for "human rights and fundamental freedoms in the digital age, consumer and authors rights-oriented reform of copyright and related rights, support for information privacy, transparency and free access to information." America's fourth largest city decriminalizes on Friday, Detroit tightens up on police use of paid snitches, a federal judge in Denver is hearing a pot banking case, and more. Denver Federal Judge Hears Marijuana Banking Case Today. US District Court Judge R. Brooke Jackson is hearing arguments today in a case filed by Fourth Corner Credit Union against the Federal Reserve Bank's Kansas City branch. The credit union was designed to serve the legal marijuana industry, but the Fed rejected its application, so the credit union sued in July. It is asking the court to force the Fed to accept its application. There is no deadline for issuing a decision. Decriminalization Coming to Houston on Friday. Beginning this weekend, Harris County will not charge first-time marijuana possession offenders, instead diverting them into the county's First Chance Intervention Program. People diverted instead of arrested will have to pay a $100 fee and engage in either eight hours of community service or eight hours of "cognitive class." 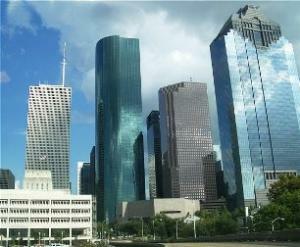 Harris County is the nation's third most populous. Michigan Bill Would Bar Employers From Firing Patients. Rep. Jeff Irwin (D-Ann Arbor) and Rep. Sam Singh (D-East Lansing) have filed House Bill 5161 to protect the employment rights of medical marijuana patients. The bill would protect patients with registration cards, but they could still be fired if their marijuana use interferes with their job performance. In Wake of Scandal, Detroit Cops Rein in Use of Paid Snitches. After a police corruption case in which Detroit narcs ripped off drug dealers and used informants to sell their stashes, the Detroit Police have tightened the rules on the use of paid snitches. Now, individual officers have to get permission from supervisors to use someone as a snitch, they must follow departmental rules for the use of informants, and they can't cut informal plea deals with potential snitches, among other changes. The omnibus spending bill approved by Congress this morning includes several drug reform provisions, although reformers didn't get everything they wanted. The bill includes language blocking the Justice Department and DEA from spending money to interfere with state medical marijuana laws or hemp research projects, and it also softens a freeze on federal funding for needle exchange programs. But Congress failed to approve amendments to allow banks to provide financial services to marijuana businesses or to allow veterans to have access to medical marijuana, despite the Senate having approved both. And the Congress again included provisions that block Washington, DC, from taxing and regulating marijuana. The language blocking the Justice Department from going after medical marijuana where it is legal also came in the form of an amendment from Rep. Dana Rohrabacher (R-CA) and Rep. Sam Farr (D-CA), which was passed last year, but had to be renewed this year. In the Senate, Sen. Barbara Mikulski (D-MD) sponsored the amendment. Drug and criminal justice reformers welcomed the progress on Capitol Hill. "The renewal of this amendment should bring relief for medical marijuana patients and business owners," said Michael Collins, Deputy Director of National Affairs for the Drug Policy Alliance. "For decades Congress has been responsible for passing disastrous drug laws. It's encouraging to see them starting to roll back the war on drugs by allowing states to set their own medical marijuana policies." "Patients who benefit from medical marijuana should not be treated like dangerous criminals, and the businesses that support them need to be protected from the old drug war mentality that still runs deep within the DEA," said Major Neill Franklin (Ret. ), executive director for Law Enforcement Against Prohibition (LEAP), a group of criminal justice professionals working to end the drug war. "It's very encouraging to see such widespread support for protecting state's rights and the rights of patients." Reformers also cheered the softening of a ban on states and localities spending federal AIDS funds on needle exchange programs. The ban was put in place in the midst of drug war and AIDS hysteria in 1988, and repealed in 2009 when Democrats controlled both chambers of Congress, but reinstated by congressional Republicans after they regained control of the House in 2011. Since then, outbreaks of HIV and Hepatitis C in southwestern Indiana and the impact of rising heroin use in states like Kentucky and West Virginia have weakened Republican opposition to restoring the funding, but not completely. There is still a ban on federal funding of syringes for the programs, but funds can be used for other program expenses such as staff, if a local or state authority has issued an emergency finding. "Syringe access programs are a sound public health intervention, rooted in science, and proven to drastically reduce the spread of HIV and hepatitis C," said DPA's Collins. "Lifting this archaic ban will save thousands of lives." "Needle exchange is a public health and safety necessity," said retired corrections officer, substance abuse counselor, and LEAP speaker, Patrick Heintz. "This new law will not only protect those who use drugs from disease, but it will help prevent other innocent victims who come into intimate contact with people who use IV drugs that have been forced for so long to share contaminated needles." Needle exchange programs are proven to reduce the spread of HIV, Hep C, and other blood-borne diseases and are supported by every major medical and public health organization, including the American Medical Association, the National Academy of Sciences, American Academy of Pediatrics, American Bar Association, and US Conference of Mayors, as well as UNICEF, the World Bank, and the International Red Cross-Red Crescent Society. Legal marijuana moves ahead in Colorado and Washington, medical marijuana will be comprehensively regulated in California, Jerry Brown splits on a pair of immigration drug deportation bills, Mexican opium poppy production is up dramatically, and more. 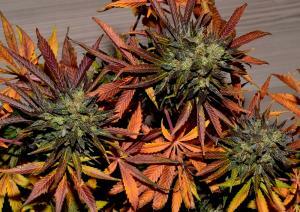 Colorado's August Sales Topped $100 Million. For the first time, the state's monthly marijuana sales exceeded $100 million in August. Recreational marijuana came in at $59.2 million, while medical marijuana sales added another $41.4 million. That's $100.6 million in overall pot sales. The state collected $13 million in pot taxes that month. Washington State Accepting New Retail Shop License Applications. As of today, the State Liquor and Cannabis Control Board is accepting and processing new applications for retail marijuana operations. Existing medical marijuana dispensaries will now need to be licensed, and will be prioritized in the licensing process. 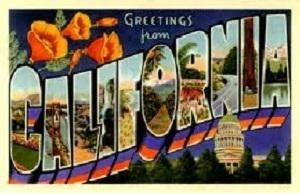 California Governor Signs Medical Marijuana Regulation Bill Package. Gov. Jerry Brown (D) last Friday signed into law a package of bills designed to bring comprehensive, statewide regulation to the state's thriving medical marijuana industry. The three-bill package will establish "a long-overdue comprehensive regulatory framework for the production, transportation, and sale of medical marijuana," Brown said in his signing statement. "This new structure will make sure patients have access to medical marijuana, while ensuring a robust tracking system," said Brown. "This sends a clear and certain signal to our federal counterparts that California is implementing robust controls not only on paper, but in practice." California Governor Signs One Bill to Block Immigrant Drug Deportations, But Vetoes Another. Gov. Jerry Brown (D) last Friday signed Assembly Bill 1352, which allows resident non-citizens convicted of a drug offense to seek deferred adjudication and, upon completion, withdrawal of a guilty plea to avoid triggering federal deportation proceedings. But he vetoed Assembly Bill 1351, which would have allowed immigrants to avoid pleading guilty to a drug offense in order to enter drug treatment. Senate Passes Transnational Drug Trafficking Act. 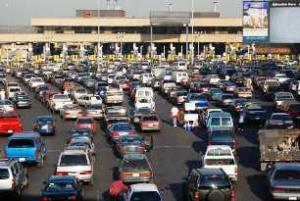 The US Senate last Thursday approved S. 32, the Transnational Drug Trafficking Act. Sponsored by Sen. Dianne Feinstein (D-CA), the bill would make it a federal crime to manufacture or distribute drugs anywhere in the world if there is "reasonable cause to believe that such substances or chemicals will be unlawfully imported into the United States or waters within 12 miles of the US coast." The bill now goes to the House. British Lib Dems Set Up Panel on Marijuana Legalization Ahead of Parliamentary Debate Today. As Parliament prepared to debate marijuana legalization today in response to a widely signed citizen petition, the Liberal Democrats announced they were creating an expert panel on the subject. Click on the link for much more. Chile Will Allow Sale of Medical Marijuana Products in Pharmacies. Chilean Vice Minister of Health Jaime Burrows said last Friday that the country will modify its laws to allow the sale of medical marijuana products in pharmacies. Such sales would be allowed with "the authorization of a specialist, a prescription, and strict controls of stock," he said. A decree enacting the changes is now being reviewed by President Michelle Bachelet. UN Commission on Human Rights Calls on Mexico to Retire the Army From the Drug War. The UN body said soldiers should retire from the streets and return to their bases because they are not trained to undertake policing work. "This must be propelled by a real sense of urgency," said the commission's Zaid Raad al-Hussein. "This is not something we can afford to wait months for without an end." The Mexican army has come under sustained criticism over human rights abuses in its war on drug trafficking organizations. DEA Says Mexican Opium Crop Up By 50%. Jack Riley, the acting administrator of the DEA, told a House committee last week that there has been a 50% increase in poppy production in key Mexican opium-producing states this year. He added that most heroin consumed in the US comes from Mexico.